Did you guess what the bumble bees were doing in the post earlier this week? It seemed like the bees were only visiting the light-colored flowers and were ignoring the dark pink ones. A little research confirmed this for another species, Weigela middendorffiana. According to Ida and Kudo, the flowers change color from yellow to red inside as they age. 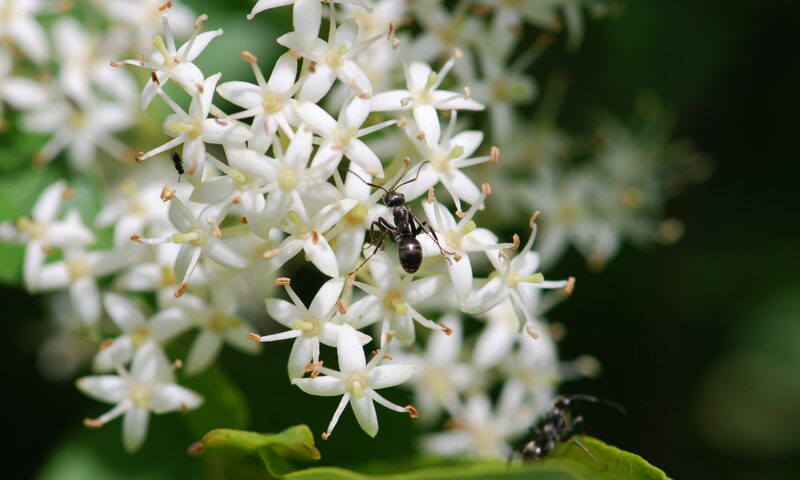 This species also is pollinated by bumble bees and the bees ignore the older, red flowers. The color-changed flowers did not provide a nectar reward. 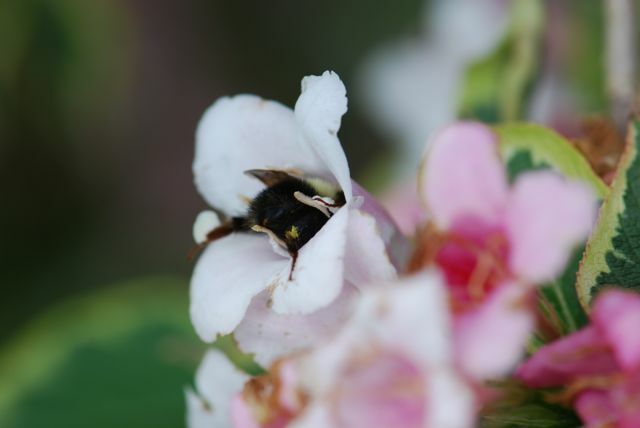 The authors suggest the color change may increase pollination success by reducing successive visits to the same flower. Lupines and lantana also change color after pollination. Do you know of any other plants that do this?